From Chinese, Italian, American to French cooking, garlic is an essential component that enhances the flavor of a variety of dishes. Add to create a wonderful base for stir-fries, curries, soups or sauces. 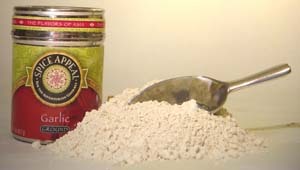 An integral flavoring in Italian pasta sauces, vegetables and soups. A good dose of garlic creates a healthy and flavorful addition to any meal.